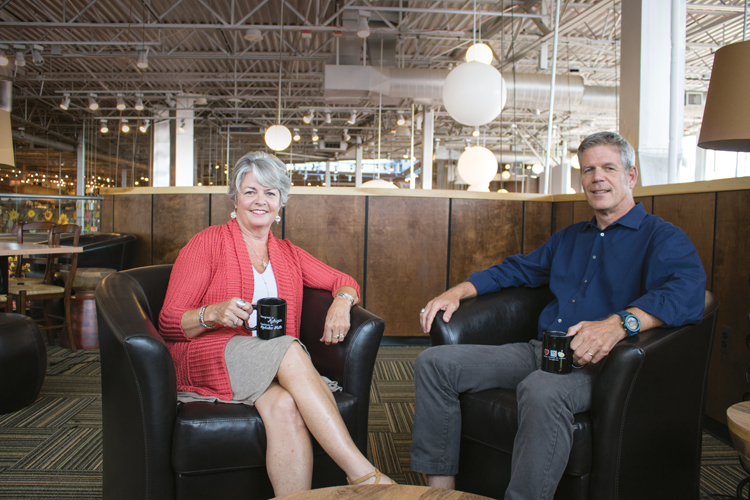 Denise and Mike Busley launched Traverse City Pie Co. in Traverse City in 1996 and have since grown the business to 16 locations with 325 employees. 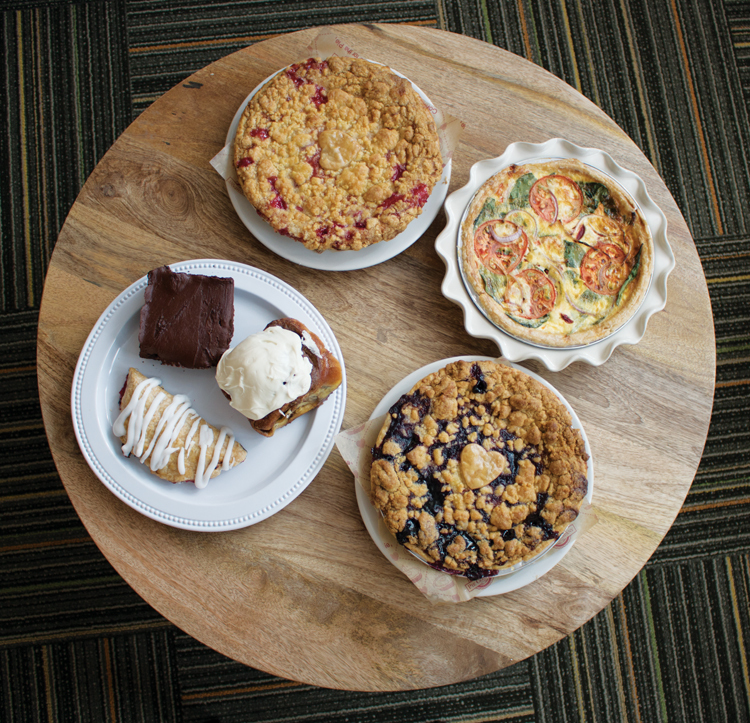 Keep it simple is a reliable mantra for success in the restaurant business but for Grand Traverse Pie Co., offering a wider range of menu items is proving to be a winning recipe for the Traverse City-based bakery and café company. Michigan natives Mike and Denise Busley — who were living and working in California in the mid-1990s — got the idea for the distinctive eatery after they wandered into a little pie shop in San Diego. >> Let them eat pie At the start, Grand Traverse Pie Co. offered seasonal pies and a few confections. The menu has since been expanded to include quiches, chicken pot pies, soups, salads, and wraps. The company gets its ingredients from mostly Michigan-based businesses. “We fell in love with the pie, the cute, homey business, and the area,” says Mike who was working in the defense industry and Denise in medical sales. He says the couple was missing something from their jobs and they were looking for a reason to come back to Michigan, where they met (Michigan State University) and had family. “We wanted to create that same essence in Traverse City that was in that shop, Julian Pie Co.” Mike connected with Liz Smothers, owner of Julian Pie, and she helped him with his business plan and recipes to start their own pie shop.“We began to think: ‘Could we create a pie company in Michigan?” He says they knew they wanted to move to Traverse City because the city was economically stable and offered a lot of big city amenities but also had a small town feel. So in 1996, with six employees and a menu that consisted of only seasonal pies and a handful of other confections, Mike and Denise opened a single 4,000-square-foot store in downtown Traverse City. Their first-year revenue was $500,000. For the first two years, the couple continued to refine the business, its flow, and learned to manage costs and equipment all the while introducing themselves to the community. In 1999, a second shop opened in Brighton, and a third location came on line a year later in Okemos. However, in 2001, when the fourth shop failed to gain traction in Indiana, Busley took it as an opportunity to take a different approach to grow the company. He says when people in the community learned about how he and Denise started the pie company, they received requests from would-be entrepreneurs with similar food business operations needing help. With these people in mind, Busley began to consider the idea of turning the Grand Traverse Pie into a franchise. 5 Most Popular Pie Flavors in the U.S.
1. About $700 million in pies (186 million units) are sold in grocery stores each year. 2. If you were to line up the number of pies sold at U.S. grocery stores in one year, they would circle the earth, a total of 24,901 miles. 3. Pumpkin pie was first introduced at the pilgrim’s second Thanksgiving in 1623. 4. One in five Americans has eaten an entire pie by themselves. 5. In 1644 in England, Oliver Cromwell banned the eating of pie as a pagan form of pleasure. Restoration leaders lifted the ban in 1660. 5 Top Desserts in the U.S.
5 Best Pie Shops in the U.S.
“It’s still our name, and it’s still our message, but it’s a different relationship than a partnership,” Busley says. The couple hired a consultant to guide the company through a feasibility study, and in 2003, the franchise side of Grand Traverse Pie was launched. Since then, the company has been adding at least one new location per year, including a restaurant in Indiana. As the franchise continued to grow in store numbers, so did the menu. Rather than maintain eight types of fruit pie, along with assorted muffins and cookies, Busley decided to add quiches, chicken potpies, soups, salads, wraps, and sandwiches, which transformed the original pie shop into a bakery and café. Today, there are 16 company-owned franchises, 325 employees, and annual revenue of nearly $25 million, with plans to continue to gain more prominence.